Ald. Willie Cochran (20th) was taken to Northwestern hospital Thursday morning. CHICAGO — Ald. 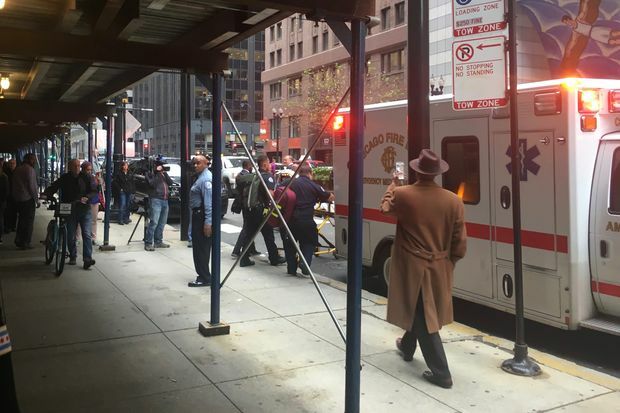 Willie Cochran (20th) collapsed at a City Council budget hearing Thursday morning and was given CPR by Ald. Patrick O'Connor (40th) before reviving and being taken out of the Council Chambers on a stretcher. Cochran was taken to Northwestern Hospital a short time later. Ald. Carrie Austin (34th), chairwoman of the Council's Budget Committee, was the first to notice that Cochran has fallen ill and shouted for help. "He's having a stroke; he's stroking out," Austin yelled, rising from her chair. "Man down." O'Connor was one of the first to reach Cochran — who slumped and started to shake in a chair directly in front of the press box — and helped lower the unconscious alderman from his chair to the floor. Other aldermen scrambled to call paramedics and block the view of cameras. As O'Connor began administering CPR, reporters were forced to leave the chambers. "He was kind of contorted," O'Connor said. "We weren't feeling a real good pulse." O'Connor credited his long-ago training as a Chicago Park District lifeguard for his quick reaction. "When it is over, you feel panicky," O'Connor said, adding that he was glad Cochran was awake and speaking by the time he left the chambers. O'Connor is Mayor Rahm Emanuel's floor leader. An hour after the incident, Emanuel wished Cochran a speedy recovery on Twitter. Ald. 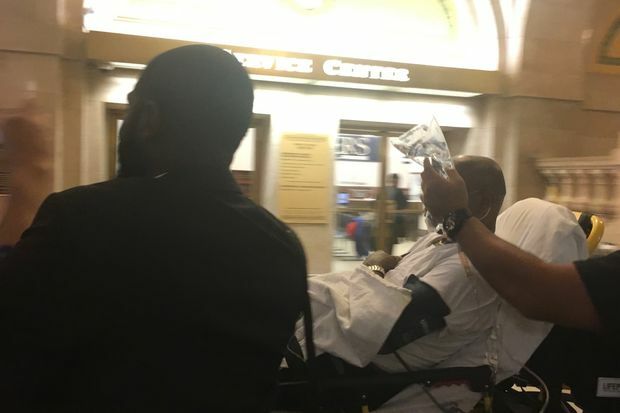 Willi Cochran (20th) is placed in an ambulance after collapsing during a City Council hearing. "He was kind of embarrassed by all the attention and didn't want to go out on the gurney," O'Connor said, chuckling. "We just told him he needs to go out on the gurney because if something happened on the way to the hospital he would sue us and we would have to pay him, and we don't want do that." O'Connor said he did at least five compressions before Cochran revived. 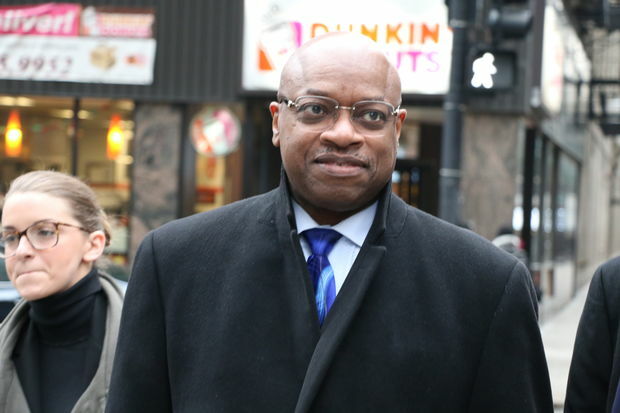 The alderman, 64, pleaded not guilty last December to federal charges that he shook down a local business owner and stole $30,000 he collected to help people in his ward, court records show. He was released on bond, and continued to serve as alderman. Prosecutors say he took $25,000 to support a gambling habit and $5,000 to pay his daughter's college tuition from a 20th Ward fund he set up to help kids and other local residents. A police officer and marshal for 26 years, Cochran worked as a community organizer and ran a business before being elected in 2008 to replace Ald. Arenda Troutman, who pleaded guilty to demanding political contributions from developers looking to do business in her ward. Ald. Willie Cochran can be seen in this file photo.